SEO Blog with a mix of all things Geek, Web & Tech. 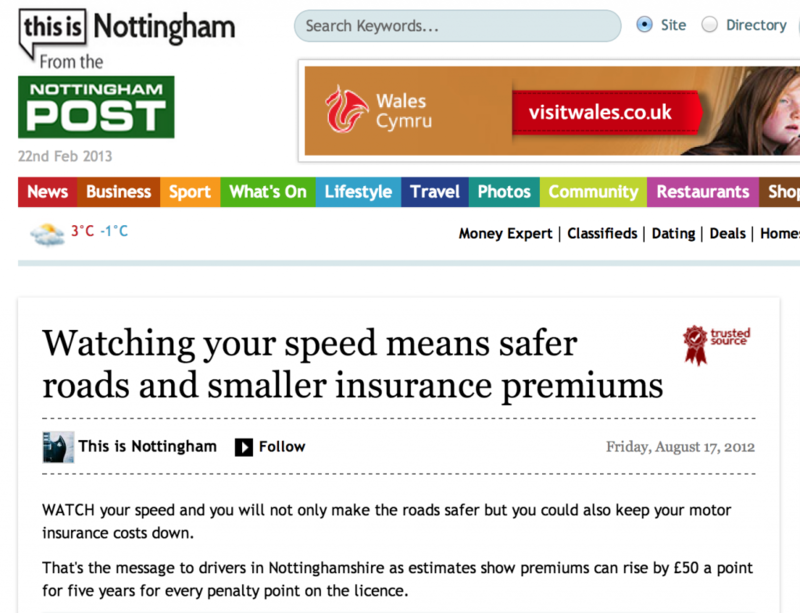 Is it time to ditch Advertorials as an SEO tactic? For the unfamiliar, ‘Advertorials’ is a buzz-word traditionally associated with newspapers and magazines, in which some allow advertisers to insert a paid-for-article within their print publication or online. The real magic happens in that, most advertorials allow you to include external links to other sites – whoa there boy, I smell an SEO opportunity! Now – I won’t lie, I’ve been a past advocate of advertorials (for good reason, which we’ll get onto) – but we may have a wee little problem. 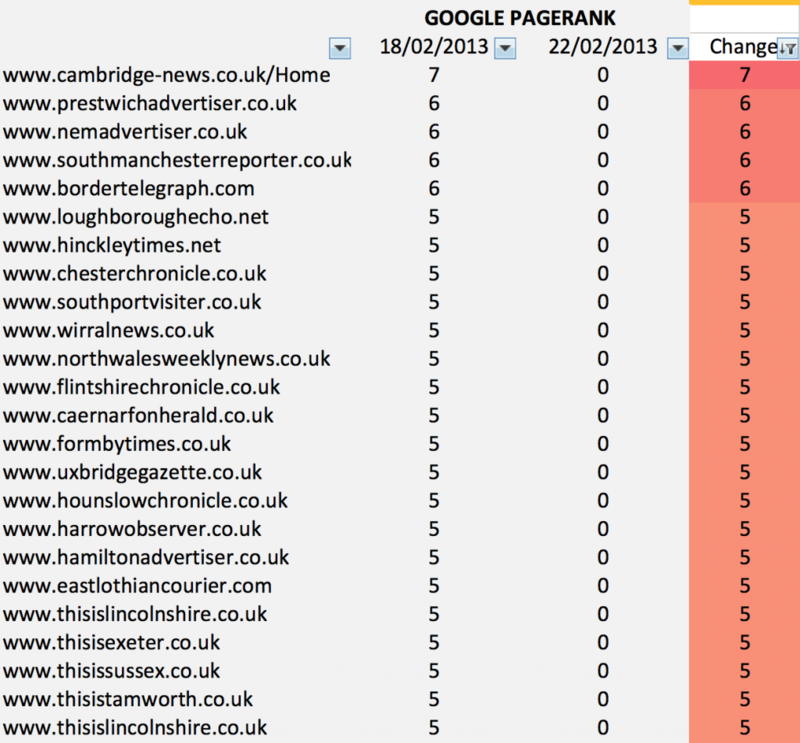 Over the past day, Google decided to slap the PageRank of 600+ regional newspaper websites in the United Kingdom. Time to panic? remove links? stop advertorials? Hmm.. Going off-topic a second, despite the drop in Google Toolbar PR, each of these sites still is being regularly indexed by Google (maybe the drop to PR is simply to scare off link-buyers? heck, only SEOs look at Google PR anyway and Google has their own non-public page-rank score for all sites). This discovery came to a head after a great bit of analysis by Anthony Shapley, to understand why florist-brand Interflora’s rankings were wiped off the face of the earth. Cutting the story short, and adding my own ‘gossip’ – they have been buying a massive bulk of 150+ advertorials at every key sales period (valentines, xmas etc.). Naughty! So what does this mean moving forward? In short, despite this change, Advertorials continue to provide SEO value at the moment according to the data, remaining an effective SEO tactic for now (morals aside). Let’s go on a magical journey as the answer is in the SERPs. Let’s take a look at a highly competitive search term, Car Insurance (450k searches per month) for example, with Confused.com ranking 1st and MoneySupermarket.com 2nd as of writing. Digging through each sites backlink profiles at a glance, each has invested in Advertorials at some point, links which continue to be indexed, containing phrase-match anchor text, and contributing to their rankings (I’m not trying to name and shame here in any shape or form, I’m just as so-called ‘guilty’). Now, don’t get me wrong – is this engaging content? nah, does it attract any traffic, social buzz or natural links? nope, should it be indexed? probably not. Of course, there is also a huge amount of other factors contributing to their performance – on-page, technical considerations and awesome content marketing (which I’m a huge champion of). BUT it’s tough to ignore the fact that sites who tend to rank in competitive SERPs, clearly see SEO value from paid-for link building in some form RIGHT NOW. I know what your thinking – will Advertorials work forever? are they future-proof? Of course not, it’s clear given the evidence above this tactic is diminishing, but absolutely nothing is future proof (I hate the phrase). In conclusion, I would advise that an SEO strategy has to be agile and diverse – considering the current market situation (where content-based paid links such as advertorials arguably still play a role), while also investing in smarter tactics, whether it be content marketing (pitching great content to editorial sites), brand building or something else yet to be determined. All comments and debate appreciated, please don’t think I’m saying let’s all just buy links and relax in the pub. Any human can spot a paid-link, Googlebot will eventually also. For example, all advertorials have to state ‘ADVERTORIAL’ on the content by law, and also end up dumped in a archive after 12-months – here’s an example from TalkTalk, it’s a goldmine for the Search Quality Team. I’m glad I read this post after reading the article on Search Engine Land as I agree with you Pete – the PR toolbar is really only used by SEO’s and just because they’ve lowered that number, it doesn’t necessarily mean the site is being valued less. The local newspaper sites still have relevant, useful content, even if they do have a few advertorials, these are clearly stated as being advertorials so I don’t think the user experience is affected. I also agree that this doesn’t necessarily mean that advertorials should be avoided for SEO, it’s just that (as with anything in SEO) it should be done “naturally” and within moderation. What we should bear in mind is the fact that what Interflora did was arguably excessive (as you quite rightly point out – ‘naughty’) having 150+ links from these sites. Google does have a right to penalise sites as they wish, but I can’t imagine that it makes sense to penalise genuine newspaper sites JUST for selling advertorials. Sites that have been built purely to pass PageRank through selling links should be penalised as these often have no valuable content. Whereas the news sites have been set up to provide local news, and also happen to sell advertising space because like all businesses, they need to make money too. Thanks, glad you liked the post. Advertorials do cross the line between pure advertising and paid links – reminds me of PPC in some ways. I don’t see newspapers stopping anytime soon (as I imagine it’s a big revenue generator for them). Most likely, we’ll just see rel=”nofollow” tags added to many, similar to most national newspapers (The Guardian for example) and the Google Toolbar PR will magically reappear! Wow…. that is a HUGE slap of some large sites from what I can tell. The real issue is whether their search traffic will start to decline subsequently. What do you think? I agree that it has to be big revenue for the big publications as well. What value, if any do you place on no follow links then? Can you quantify it as a percentage of a do follow link? We’re actually looking into this at work, so I’ll let you know! Great analysis Pete. It’s funny how Google can see these individual paid link selling offenders and yet seem to miss similar very large scale paid link mega publishers like autoguidedotcom. Look at sites like fordforumsdotcom and benzforumdotcom which they own, over 200 domains in this network, all owned by one guy, all selling PageRank it’s so obvious and not even a slap. Why is it that most of them are .co.uk sites? Does most of spammers are in the UK? or most of dull website owners are in the UK?